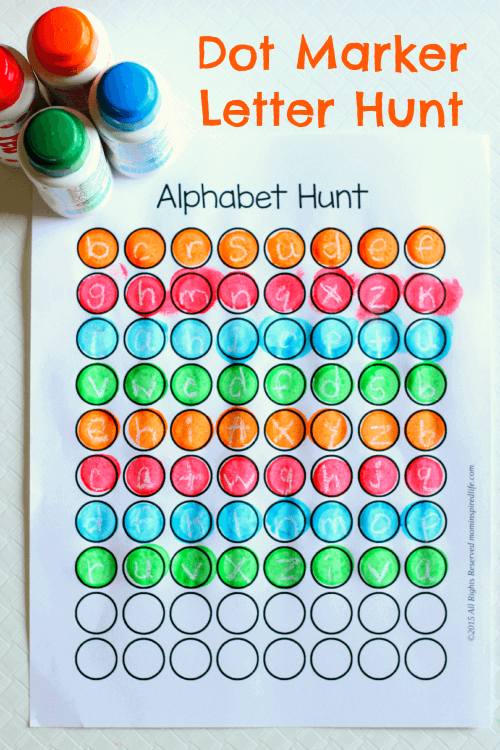 I came up with this dot marker alphabet hunt because my son loves to use dot markers and is always amazed by crayon resist hidden messages. This didn’t disappoint. 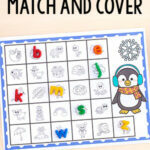 There are so many concepts you can cover with this activity. 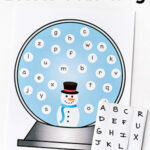 You can work on letter recognition, name recognition, sight words and even spelling words. The letters show up more than the photo above implies. I think the lighting wasn’t the best for showing it. 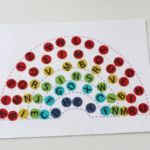 In person, you can easily see all the letters with each color dot marker. 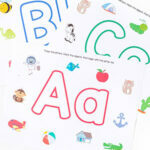 The included printable makes it super easy to do this alphabet activity with your kids. I was able to put it together in a couple minutes and with only a few materials. 1. 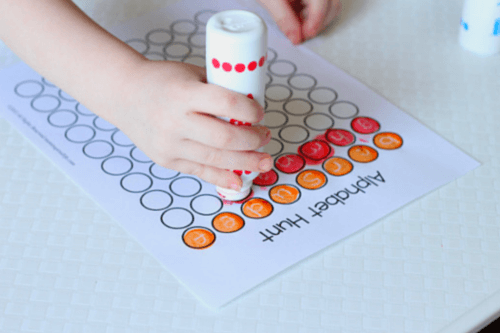 Write a letter in each circle on the dot marker sheet with white crayon. You can put a letter in each and every circle like I did or you can spread them out. You can write names and words all over the sheet as well. 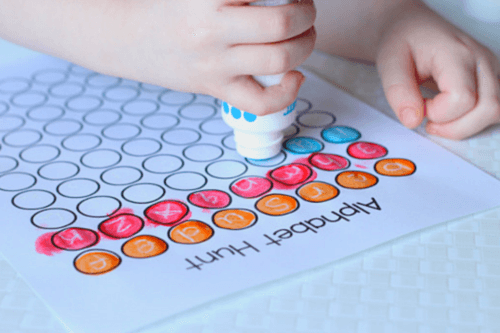 I invited Evan to dot the circles with his markers and watched as he discovered the hidden letters. He decided to use a different color for each row. As he dotted each circle and the letter appeared we mentioned the names of the letters. Sometimes, he told me the letter name and other times I said the name. Occasionally, he or I would mention the sound a certain letter made. This is very open-ended, so you can use it any way you would like. It could even be an independent activity. 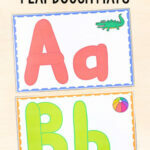 Head over to my Alphabet Activities page for even more fun, hands-on letter learning ideas! 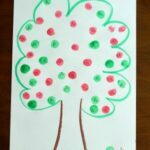 Here are some more printable activities I think your kids will enjoy!